Sailfin snapper, otherwise known as blue-lined sea bream, has a distribution in the Indo-Pacific. It is often found in the western Pacific, from the Ryukyu Islands to New Caledonia and the Great Barrier Reef, including Admiralty Islands, New Guinea, Palau, Philippines, Sulawesi (Celebes), and Tonga. The species is also known from the eastern Indian Ocean from Rowley Shoals and off Broome, Western Australia (1,5). S. spilurus is reef-associated, found on coral reefs or over sand bottoms in the vicinity of coral reefs. It is usually seen singly and normally occurs at depths of 5 to 60 m (1,5). S. spilurusis a moderate-sized carnivorous species. It feeds mainly on sand-dwelling molluscs and crustaceans, also on fishes. It undergoes considerable ontogenetic changes in body shape and colouration between the juvenile and adult stage (1,2,5,7). S. spilurus has a very high commercial value. It is especially favoured in the aquarium trade. This species is fished mainly with hand-lines and spearguns. It is occasionally seen in markets and is also being traded as aquarium fish. In Papua New Guinea, where spear fishermen have exploited an aggregation of this species for several decades, several spear fishers working together can remove 20 fish in an afternoon (3,5,6). No information. There is no reported research or commercial culture of the species. There is no known conservation or management activity targeted towards this species and it has not been evaluated under for the IUCN red list. Limited information indicates that aggregations are little fished and there is no indication of changes in catch rates. 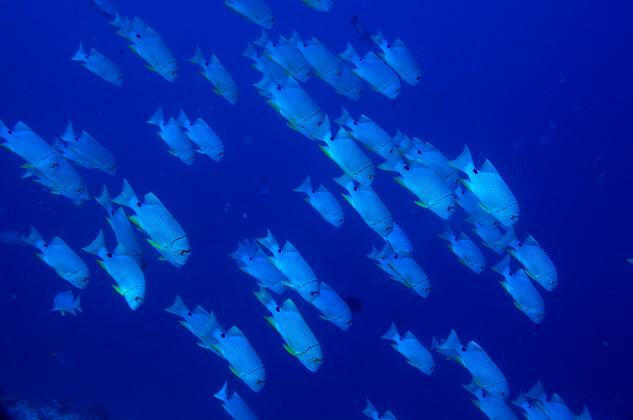 The species has moderate vulnerability and medium resilience towards fishery. More information is needed to assess the species (5,6). 1. Allen G.R. (1985) Snappers of the World. An Annotated and Illustrated Catalogue of Lutjanid Species known to Date. FAO Species Catalogue. Vol. 6. FAO. Rome. Pp. 208, Pl. I-XXVII. 3. Domeier M.L. & Colin P.L. (1997) Tropical reef fish spawning aggregations: defined and reviewed. Bulletin of Marine Science, 60(3):698-726. 4. 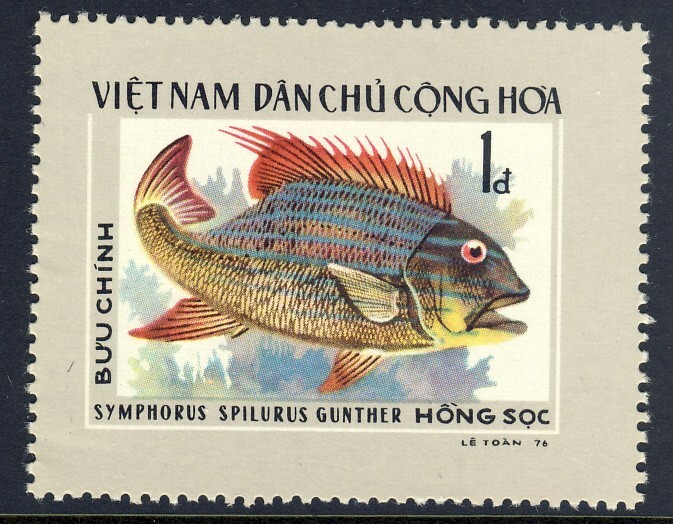 FAO-FIES (2008) Aquatic Sciences and Fisheries Information System (ASFIS) species list. 6. Hamilton R. (2003) A report on the current status of exploited reef fish aggregations in the Solomon Islands and Papua New Guinea - Choiseul, Ysabel, Bouganville and Manus Provinces, Western Pacific Fisher Survey Series: Society for the Conservation of Reef Fish Aggregations. Volume 1. 7. Leis J.M & Bray D.J (1995) Larval development in the Lutjanid subfamily paradicichtyinae (pisces): the genera symphorus and symphorichthys. Bulletin of Marine Science, 56(2): 418-433.